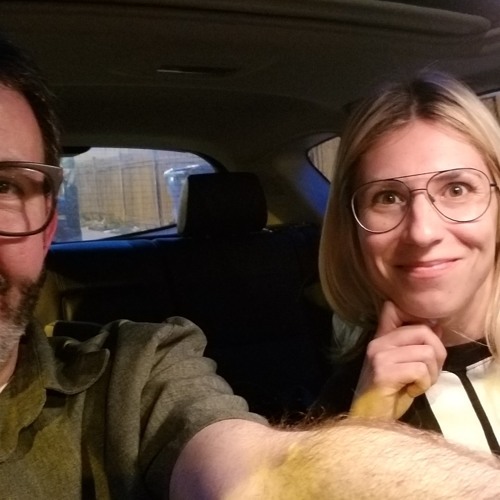 Emily Belden, author of "Hot Mess," jumps in the Madza 3 for a new episode (sponsored by Boost Mobile). We got tacos from El Potosi (Spanish for "The Potosi") this week. Spoiler warning: Not so much. We also talked about: El Potosi had some confusing items in the cooler, including not-for-sale Coronas and a sheet cake. Emily's new book, "Hot Mess": About a Chicago woman who suddenly finds herself entangled with an up-and-coming, bad boy, chef... who maybe has a drug issue. Chicago's restaurant scene, specifically in the Randolph Street area, which plays a part in "Hot Mess." The locale of El Potosi couldn't be further removed from the settings of "Hot Mess." Emily does the "basic white girl thing" when ordering tacos. The Facebook Live video of this week's recording had a variety of fascinating viewers, including punk legends Jeff Pezzati (Naked Raygun) and Denis Buckley (88 Fingers Louie/Three-time podcast guest), radio god Kevin Matthews and culinary kingpin Ben Randall (In the Weeds with Ben Randall). RC is the cousin of Diet Rite, and Diet Rite is one step above Faygo. Emily's start as a blogger. No one blogs anymore. Emily's tenacity and perseverance, which led to her becoming a published author with "Eightysixed." How does Emily know when a book is "done?" How much of Emily is reflected in the book? Writing about addiction: "That's not something you just wing." What's an amuse-bouche? Emily's literary "voice." "Hot Mess" was not the first name for the book. "Has Hollywood been sniffing around?" "... I think it's going to be a TV series." Emily's upcoming book, "Husband Material." It's not about animal husbandry.